​Introducing the "Stranger than Fiction" News. Recent Creepy Stories in the Headlines You Probably Missed. Also, Paranormal Experiences of Children. Shadow Beings and Unseen Entities as Told by the Kids Themselves. Wrapping up the Show With Scary Stories Shared by Witness and History Books. Plus... A Really Strange Event That Happened While Creating This Show. ​If you would like to become our Patreon you can check us out here and choose from several different packages, from having your name appear below on our show notes hall of fame; thanking you for your patreonship, to one monthly intuitive readings, plus your name below. All funds go to producing a better quality show and adding more content. ​ join our Facebook group for weekly readings & interactive posts as well as keeping up to date! 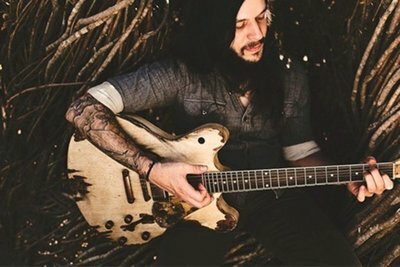 Shawn James is a singer/songwriter who dances within the rock, blues, folk and soul genres so beautifully that you can't help but be filled with emotion. 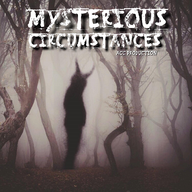 ​A huge thank you to Justin from Mysterious Circumstances Podcast for becoming out newest patreon!